Nabisco is out of control. Look I get it, some people (leers at Aikage) like more than the normal serving of creme on their oreos, it’s feasible to cater to that market. 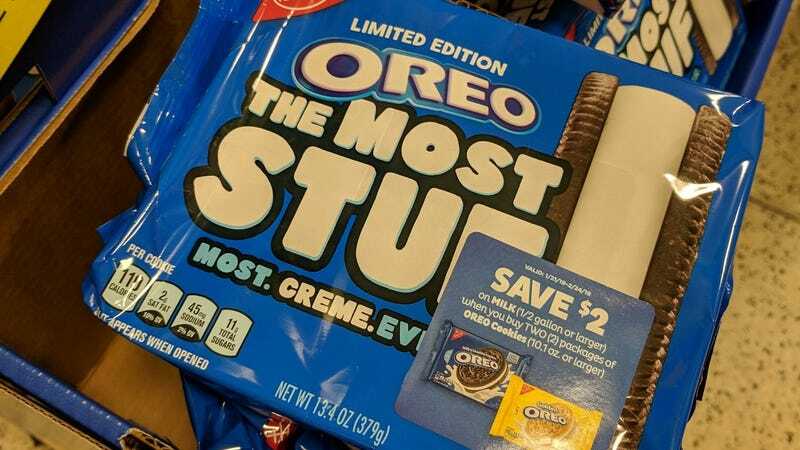 Double Stuff Oreos are not terrible, things started to spiral out of control when Nabisco decided to release triple stuff. Now we have this abherration of snack. This is just too much. Then people wonder why they have diabetes. Single, Double or Triple Stuff? What about favorite limited edition flavor? I loved the 4th of July ones with the pop-rocks in the creme!